Yes, we have finally come into the 21st century! You can now order and pay for your film processing online. Just click on Order and choose the film processing options you require. Change the quantity for the number of rolls or go back and add another roll with different options separately. Review your selected items in the cart (top right on a desktop or bottom right on a mobile device). On checkout you can also choose to be added to our mailing list to recieve updates about changes on turnaround times, opening hours and lab announments. 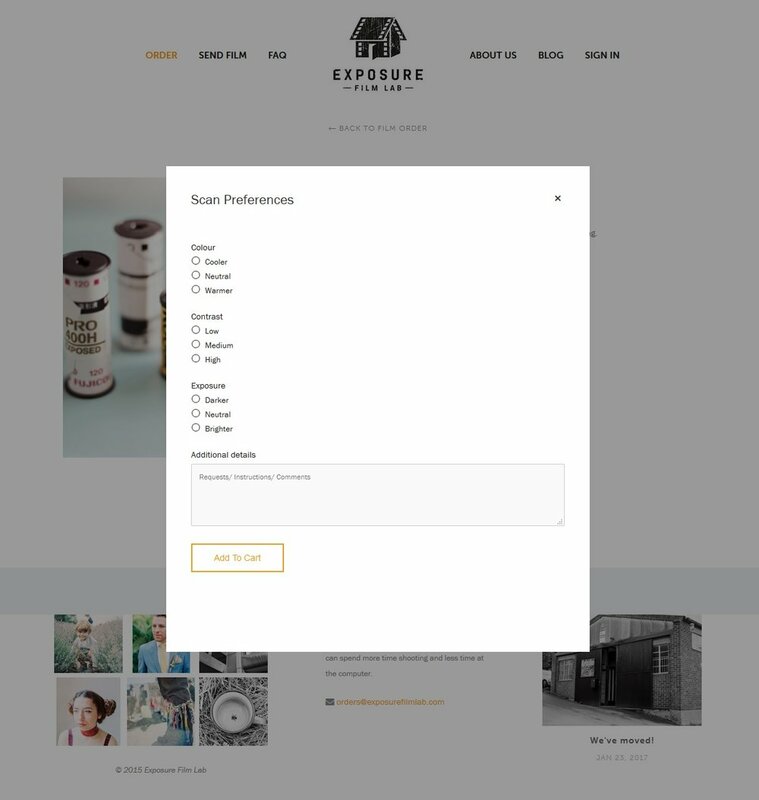 Don't worry, you can still customise your scan preferences as you would with our order form, including an expandable box to add as much detail as you wish. Have different scan preferences for individual rolls. Pay by either card on our secure site or through Paypal. Create an account to save your shipping details for future orders. Turn around times start as soon we receive your film. No more waiting for us to bill you. No need for a printer. Save paper and help save the planet! If you have any more questions on how this process works, check out the updated How to Send Film or drop us an email. It took a bit longer than we hoped but we've successfully moved! We're proud to be a part of Artsite3 in Hereford. A home to many local artists and creatives, please check out some of their work here. And with a new premises comes new opportunities! We now have a drop box so locals can save on postage and drop off film whenever is convenient. We also now have super fast fibre broadband, so we can now upload Standard and Enhanced scans at no extra cost. Just make sure you have a fast enough connection to be able to download them if you plan on sending us loads of film to be scanned as TIFFs!